Our Vanni Walnut Coffee Table is the most architectural and minimalist table we've designed yet. 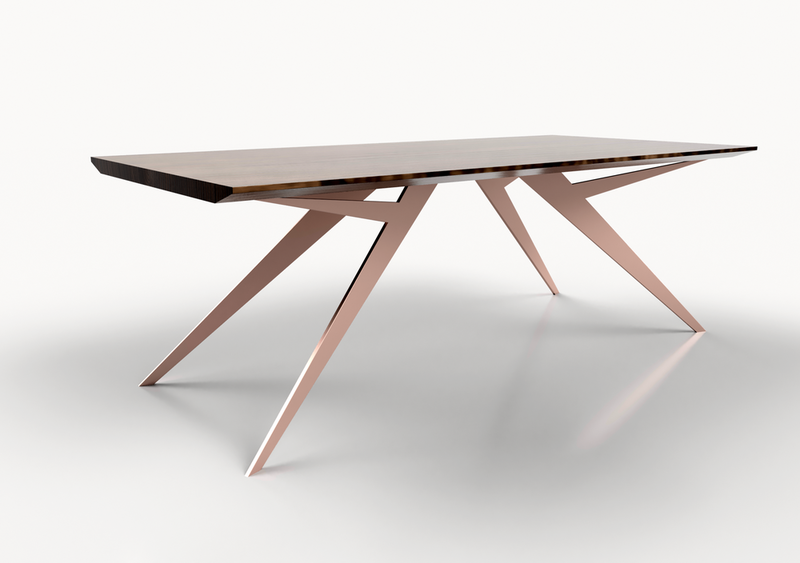 The chamfered edges and geometric legs give this piece a tasteful stance and beautiful blend between steel and wood. The thick solid American Walnut tabletop has a slight edge long chamfer to help the eye transition better from the top to the legs. As with any natural material, variations in the texture and color of the wood are to be expected and are not defects. Italian Designed, American Made. Ships in 6 - 8 weeks and delivery depends on your location. We will notify you once your table is on it's way. Important note: These are specialty built tables that are made in low numbers. The table you receive might not be the exact one shown in the images. At Studio Vestri™ we hand select every piece of slab wood that is used for the table tops. We will try to find pieces that offer unique grain characteristics with some lighter sap wood on the edges. The form and dimensions will not change however each piece of wood may differ from the image shown. Please feel free to contact us with questions or submit a custom order if you want specific control over the piece you purchase from us. Our Vanni Walnut Coffee Table is the most architectural and minimalist table we've designed yet. 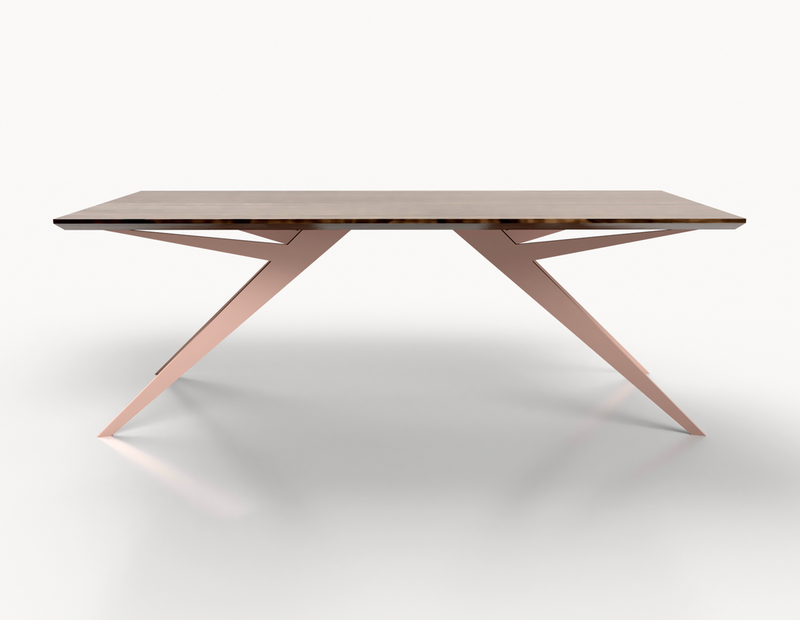 The chamfered edges and geometric legs give this piece a tasteful stance and beautiful blend of steel and wood. The thick solid American Walnut tabletop has a slight edge long chamfer to help the eye transition better from the top to the legs. As with any natural material, variations in the texture and color of the wood are to be expected and are not defects. Italian Designed, American Made. Ships in 6 - 8 weeks and delivery depends on your location. We will notify you once your table is on its way.